Aerial picture of Kusini pool !! Beautiful bar to accommodate private celebrations ! Its name in swahili means “WINDS” from the South, this marine current brings cooler winds blowing from the southern parts of Africa. 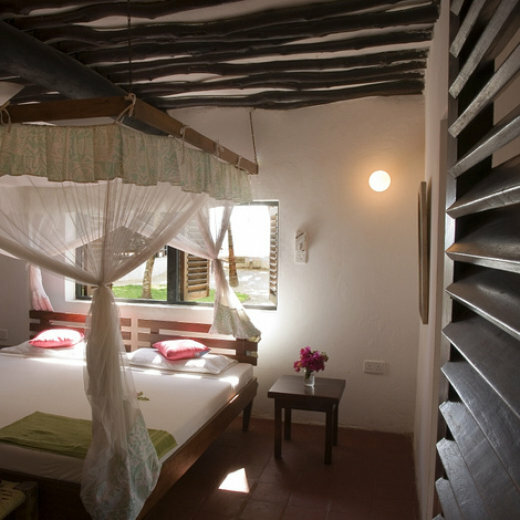 Built on ground floor in front of the ocean, this cottage is perfect for families with children. Its big kitchen is annex to the bedroom area and veranda and it’s perfectly equipped, its en suite bedrooms have direct access to the garden. It consist in 2 bedroom self-contained, although can fit an extra bed. The cottage has a personal chef and waiter or room steward to cover your needs and is in charge of catering and cleaning to make your stay more unforgettable. Also have barbecue equipment so that guests can enjoy fish and seafood fresh from the sea. The stay was perfect and we were very happy with the place. Nothing bad at all. We will surely be back. The service and reception that is at Kusini is amazing. Nothing compares... Top of the range!!! !